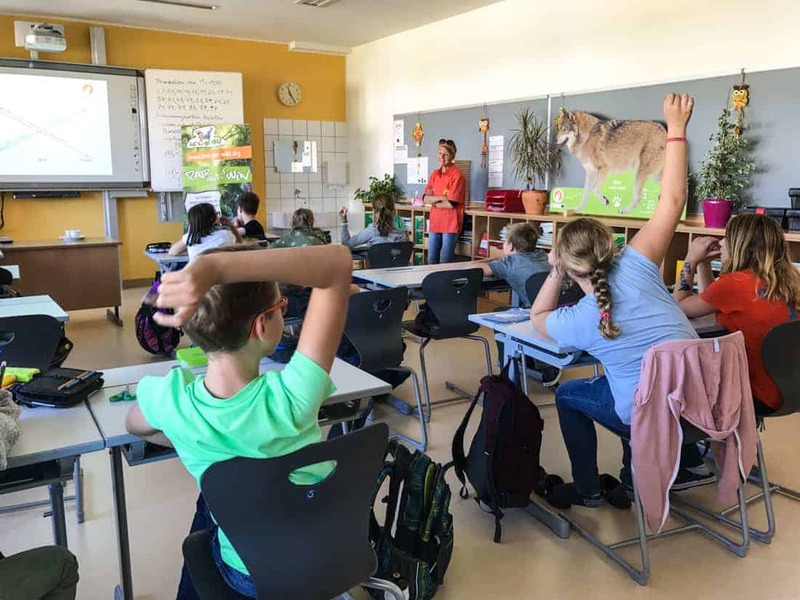 In a BMLFUW sponsored project, the European Wilderness Society is visiting many schools across all of Austria and teaching them all about Wilderness, Forests, Climate Change and the return of the large carnivores. Last week the first 150 students from six classes of a middle school in a rural area of the province of Salzburg were excitingly participating on the first classes taught by Gudrun Pflueger and Max Rossberg and Anni Henning. The children surprised us by jealously asking many questions concerning Wilderness in Europe and especially all the details concerning the wolves, golden jackal, bears and lynx. The wanted to know about nature conservation in Europe and especially in Austria. They also wanted to know more about Austria´s National Parks and pledged to visit them in the near future. The workshops concluded by us inviting them to write and sing a RAP song and submit it to the project to participate in the 1st European Wilderness Youth festival coming up soon. The school also received a set of life-size displays for the use in their biology classes. We are looking forward to many more hundreds of students in the next weeks and months.